When will the court agree adoption is necessary? Adoption proceedings are dealt with by the Adoption and Children Act 2002. I agree that adoptions can be ‘forced’ in that the court can make an adoption order without getting the parents’ consent. But I don’t agree that this equates to a deliberate plot to target ‘adoptable’ children to get them into the system. I believe that parents’ rights to be heard and produce evidence about what they think is the best outcome for their child are real and usually respected in the system. Judges have warned against the dangers of ‘social engineering’ for many years now. In this post I consider the relevant case law which the court must have in mind when considering making a final care order which has a plan for adoption. The case of Re B-S in 2013 caused a stir amongst lawyers and social workers and was interpreted by some as changing the law by making it more difficult to convince a court to make an adoption order. The President of the Family Division clarified in the case of Re R in 2014 that his judgment in Re B-S had not intended to change the law and did NOT change the law. Re W in 2016 provided further refinement of the ‘nothing else will test’ and confirmed it is not the right test when the court has to decide between two appropriate placements. I discuss these cases in more detail below. BUT note section 22 of the Adoption and Children Act 2002 (ACA) below; the LA can apply for a placement order if a child is accommodated under section 20 of the Children Act. This does raise some legitimate concerns about ‘adoption by stealth’ which I discuss further here. This a high threshold – for obvious reasons. Taking children away from their families is recognised as the most serious interference with people’s family and private lives; it has life long consequences for all concerned. So if anyone tells you simply that a social worker will take your child and have him adopted, this is not an accurate description of the necessary process. However, I believe it is clear there is a link between care and adoption proceedings; the LA must set out their plans for the children’s future in the care plans to be considered at the final hearing. So if the LA think adoption is the best option, they need to have made that decision before the final hearing so it can be confirmed by their Agency Decision Maker. Case law – what have the judges said about the need for adoption? For further consideration of what the law actually is in other European countries relating to adoption see the study of Dr Claire Fenton-Glynn, to the European Parliament in June 2015 Every European country permits adoption without a parental consent. Further refinement of the ‘nothing else will do’ test – not appropriate when court needs to chose between two good placements. Following Re W (A Child)  EWCA Civ 793, the court decided that the question of ‘nothing else will do’ is not apt as the starting point in cases where the court had to decide between two different households – in this case the potential adopters and grandparents who wanted an SGO. The question to be answered is what outcome will best promote F’s welfare for the rest of her life. 69. Once the comprehensive, full welfare analysis has been undertaken of the pros and cons it is then, and only then, that the overall proportionality of any plan for adoption falls to be evaluated and the phrase “nothing else will do” can properly be deployed. If the ultimate outcome of the case is to favour placement for adoption or the making of an adoption order it is that outcome that falls to be evaluated against the yardstick of necessity, proportionality and “nothing else will do”. Rare example of court refusing to make an adoption order – reliance on presumption of ‘right’ to placement with birth family that is no longer good law? BUT – would this case have survived the analysis of the Court of Appeal in Re W (A Child)  EWCA Civ 793, which rejected the presumption in favour of placement with birth family? The repeated reference to a ‘right’ for a child to be brought up by his or her natural family, or the assumption that there is a presumption to that effect, needs to be firmly and clearly laid to rest. No such ‘right’ or presumption exists. The only ‘right’ is for the arrangements for the child to be determined by affording paramount consideration to her welfare throughout her life (in an adoption case) in a manner which is proportionate and compatible with the need to respect any ECHR Art 8 rights which are engaged. First, repeating a point made earlier (see ), none of the provisions of statute, regulations or rules to which I have referred, impose any absolute duty on either the local authority or the Children’s Guardian, or indeed the court, to inform or consult members of the extended family about the existence of a child or the plans for the child’s adoption in circumstances such as arise here. However, the ethos of the CA 1989 is plainly supportive of wider family involvement in the child’s life, save where that outcome is not consistent with their welfare . This entry was posted in Placement and Adoption orders and tagged adoption, last resort, nothing else will do, proportionality, Re B, Re B-S on August 29, 2014 by Sarah Phillimore. What does this mean? And why is it important? The Convention is protected by the European Court of Human Rights, which was established in 1959. For a useful introduction to the ECHR see this infographic from Rights Info which discusses the basic structure of the European Court, who it protects and why it matters. For further information and discussion about the scope of Article 8, see the ECHR on-line site. You can get the form to make an application to the European Court and read the guide on how to make the application. Prior to the implementation of the Human Rights Act 1998 (HRA), if you were complaining about a breach of the ECHR, you had to apply directly to the European Court in Strasbourg. Now, the HRA allows the ECHR to take ‘direct effect’ in domestic legislation. Section 6 of the HRA and makes it clear that ‘public authorities’ – which includes local authorities who want to make applications for care orders – cannot act in a way which is incompatible with the ECHR, unless they are following statute law which they can’t interpret in a way to make it compatible. For useful discussion about how Parliament in the UK and the European Court interact, see this discussion from the House of Commons Library blog about parliamentary sovereignty and the European Convention. Since the Court of Human Rights was established in 1959, it has delivered around 17,000 judgments. Nearly half of these concerned five Member States (Turkey, Italy, the Russian Federation, Poland and Romania) … from 1959 to 2013, (and in purely numerical terms) the UK was responsible for 2.96% of the total violations found by the court (compared to Turkey who has been the worst offender, responsible for 17.75%). A note of caution – disappearance of ‘human rights’ from the ‘Working Together’ guidance. ‘Working Together to Safeguard Children’ is very important government guidance for all professionals in this field. It was first published in 1999. The 2010 edition contained useful and explicit mention of human rights and reminded professionals that data protection principles often engaged individual human rights. However, some commentators have noted with concern that the most recent edition of the guidance contains only one reference to ‘data protection’ and no reference whatsoever to ‘human rights’. There is legitimate concern that the boundary is becoming blurred between children who are ‘in need’ and require help and children who are ‘at risk’ and require protection and the ‘air brushing’ out of any reference to human rights in the guidance is thus regrettable. If social workers stop caring about human rights, isn’t that like doctors stopping caring about health or lawyers about justice? The two most frequently encountered Articles of the ECHR in care proceedings are Article 6 – the right to a fair trial – and Article 8. There is clearly some overlap between the two – if your right to a fair trial is compromised in care proceedings, this may have implications for your family life. As the Court has had previous occasion to remark, the concept of “private life” is a broad term not susceptible to exhaustive definition. It covers the physical and psychological integrity of the person. It can sometimes embrace aspects of an individual’s physical and social identity. Elements such as, for example, gender identification, name and sexual orientation and sexual life fall within the personal sphere protected by Article 8. Article 8 also protects a right to personal development, and the right to establish and develop relationships with other human beings and the outside world. Though no previous case has established any such right to self determination as being contained in Article 8 of the Convention, the Court considers that the notion of personal autonomy is an important principle underlying the interpretation of its guarantees. Article 8 ECHR provides that everyone has the right to respect for family life. The European Court of Human Rights interprets the term ‘family life’ autonomously. Forms of cohabitation or personal relationships which are not recognized as falling in the ambit of ‘family life’ in the jurisdiction of a contracting state can still enjoy protection by article 8; family life is not confined to legally acknowledged relationships. The Court is led by social, emotional and biological factors rather than legal considerations when assessing whether a relationship is to be considered as ‘family life’. How do we decide if Article 8 rights should be over-ruled in a particular case? For example, in some cases, there are worries that a parent is finding it hard to cope at home and this is having a bad impact on the children. The LA are considering care proceedings, but family and friends offer to help. In those circumstances it probably would not be ‘proportionate’ to demand that this parent give up his or her children for adoption or even have the children go to live with foster carers for a short time. A more proportionate response would be for everyone to meet and discuss what they could do to keep the children safe at home. However, if a child is seriously injured at home and his parents can’t or won’t say what happened, then it probably will be proportionate to remove the child immediately from his parents’ care. See our post on interim removals and emergency protection orders. The issue of proportionality was discussed by the Supreme Court in Re B in 2013 when considering an appeal against the trial judge’s decision that it was proportionate to remove a child for adoption. 115. Into all of this discussion, however, must come the question of proportionality. Significantly different considerations are in play when the proportionality of the decision is in issue. A decision as to whether a particular outcome is proportionate involves asking oneself, is it really necessary. That question cannot be answered by saying that someone else with whose judgment I am reluctant to interfere, or whose judgment can be defended, has decided that it is necessary. It requires the decision-maker, at whatever level the decision is made, to starkly confront the question, “is this necessary”. If an appellate court decides that it would not have concluded that it was necessary, even though it can understand the reasons that the first instance court believed it to be so, or if it considered that the decision of the lower court was perfectly tenable, it cannot say that the decision was proportionate. For an example of a case where the Court of Appeal thought removing children was not a proportionate response, see K (Children) . Is the Children Act 1989 compatible with Article 8 of the ECHR? Short answer – yes. For a recent example of when the UK was challenged by Latvia over the legitimacy of its care proceedings, see this post. When the Human Rights Act came into force, there was a lot of interest in testing the Children Act 1989 to see if it was compatible with the ECHR. One challenge was to the fact that once a care order is made, it is up to the LA to decide how to make it work and the court does not have any power to interfere with those decisions. The House of Lords (as they were then called; they are now the Supreme Court) considered whether or not this was compatible with Article 8 in the case of In re S  UKHL 10. The lawyers argued that the court should continue to oversee what the LA was doing by way of ‘starred care plans’ – which identified issues in the care plan which should be kept under review and brought back to court if necessary. The House of Lords rejected that argument and held that introducing this new supervisory role for the courts would go far beyond simply ‘interpreting’ the Children Act; it would be introducing a new role for the courts and only Parliament had the power to do that. To entrust a local authority with the sole responsibility for a child’s care, once the ‘significant harm’ threshold has been established, is not of itself an infringement of article 8. 53. The essential purpose of this article is to protect individuals against arbitrary interference by public authorities. In addition to this negative obligation there are positive obligations inherent in an effective concept of ‘respect’ for family life: see Marckx v Belgium (1979) 2 EHRR 330, 342, paragraph 31. In both contexts a fair balance has to be struck between the competing interests of the individual and the community as a whole: see Hokkanen v Finland (1994) 19 EHRR 139, 168-169, paragraph 55. 54. Clearly, if matters go seriously awry, the manner in which a local authority discharges its parental responsibilities to a child in its care may violate the rights of the child or his parents under this article. The local authority’s intervention in the life of the child, justified at the outset when the care order was made, may cease to be justifiable under article 8(2). Sedley LJ pointed out that a care order from which no good is coming cannot sensibly be said to be pursuing a legitimate aim. A care order which keeps a child away from his family for purposes which, as time goes by, are not being realised will sooner or later become a disproportionate interference with the child’s primary article 8 rights: see paragraph 45 of his judgment. 55. Further, the local authority’s decision making process must be conducted fairly and so as to afford due respect to the interests protected by article 8. For instance, the parents should be involved to a degree which is sufficient to provide adequate protection for their interests: W v United Kingdom (1987) 10 EHRR 29, 49-50, paragraphs 62-64. 56. However, the possibility that something may go wrong with the local authority’s discharge of its parental responsibilities or its decision making processes, and that this would be a violation of article 8 so far as the child or parent is concerned, does not mean that the legislation itself is incompatible, or inconsistent, with article 8. The Children Act imposes on a local authority looking after a child the duty to safeguard and promote the child’s welfare. Before making any decision with respect to such a child the authority must, so far as reasonably practicable, ascertain the wishes and feelings of the child and his parents: section 22. Section 26 provides for periodic case reviews by the authority, including obtaining the views of parents and children. One of the required reviews is that every six months the local authority must actively consider whether it should apply to the court for a discharge of the care order: see the Review of Children’s Cases Regulations 1991 (SI 1991 No. 895). Every local authority must also establish a procedure for considering representations, including complaints, made to it by any child who is being looked after by it, or by his parents, about the discharge by the authority of its parental responsibilities for the child. 57. If an authority duly carries out these statutory duties, in the ordinary course there should be no question of infringement by the local authority of the article 8 rights of the child or his parents. Questions of infringement are only likely to arise if a local authority fails properly to discharge its statutory responsibilities. Infringement which then occurs is not brought about, in any meaningful sense, by the Children Act. Quite the reverse. Far from the infringement being compelled, or even countenanced, by the provisions of the Children Act, the infringement flows from the local authority’s failure to comply with its obligations under the Act. True, it is the Children Act which entrusts responsibility for the child’s care to the local authority. But that is not inconsistent with article 8. Local authorities are responsible public authorities, with considerable experience in this field. Entrusting a local authority with the sole responsibility for a child’s care, once the ‘significant harm’ threshold has been established, is not of itself an infringement of article 8. There is no suggestion in the Strasbourg jurisprudence that absence of court supervision of a local authority’s discharge of its parental responsibilities is itself an infringement of article 8. However, although the House of Lords rejected the idea of ‘starred care plans’, they were troubled by the absence of any identified individual who would oversee and intervene if a LA were not offering good enough care to children after the court hearing was over. This could be particularly serious if a child had no parent who was willing or able to make complaints on their behalf and could lead to an infringement of the child’s human rights. I must finally make an observation of a general character. In this speech I have sought to explain my reasons for rejecting the Court of Appeal’s initiative over starred milestones. I cannot stress too strongly that the rejection of this innovation on legal grounds must not obscure the pressing need for the Government to attend to the serious practical and legal problems identified by the Court of Appeal or mentioned by me. One of the questions needing urgent consideration is whether some degree of court supervision of local authorities’ discharge of their parental responsibilities would bring about an overall improvement in the quality of child care provided by local authorities. Answering this question calls for a wider examination than can be undertaken by a court. The judgments of the Court of Appeal in the present case have performed a valuable service in highlighting the need for such an examination to be conducted without delay. The Government responded with Section 118 of the Adoption and Children Act 2002 which amended section 26 of the Children Act 1989 and established the role of Independent Reviewing Officer (IRO). monitor the activity of the responsible authority as a corporate parent in ensuring that care plans have given proper consideration and weight to the child’s wishes and feelings and that, where appropriate, the child fully understands the implications of any changes made to his/her care plan. See our post about the role of the Independent Reviewing Officer for more information. June 2016 – Podcast from barrister David Bedingfield of 4 Paper Buildings ‘Proportionality and Public Law Children Cases’. This entry was posted in Proportionality and Article 8 and tagged Article 8, European Convention, European Court, Human Rights Act 1998, Independent Reviewing Officer, proportionality, Strasbourg on May 23, 2014 by Sarah Phillimore. When can the court make these orders? And what is the impact? Care and Supervision orders were created by Part IV of the Children Act 1989. See also Chapter 3 of the Guidance from the Department of Eduction. if section 31 of the CA is met. i.e. the child has suffered or is at risk of significant harm. The significant harm can occur because of bad parenting (which is likely to be seen as the parents’ ‘fault’) or because the child is beyond parental control – this may be less likely to be seen as the ‘fault’ of the parents. But regardless of questions of who or what is to ‘blame’ – there must be a link between the parenting/lack of control and the significant harm. If you are worried that your child is going to be taken away at an ‘interim hearing’ i.e. before the final care order is made, read more about this here. Does the court have the jurisdiction to make a care order about my child? 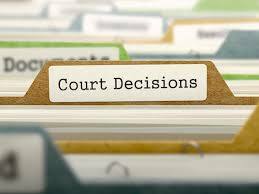 The court only has power to make a care or supervision order if the threshold criteria are met. This is dealt with in another post. Another important part of jurisdiction is looking at the links the child has to England and Wales. ‘Jurisdiction’ means ‘the official power to make legal decisions and judgements’. As a general rule, courts in one country do not usually have the power to make orders about people who are citizens of other countries. This issue about jurisdiction began to cause problems as increasing numbers of people have travelled to England from other EU countries but objected to the English court making orders about their children. There wasn’t anything clearly set out in any statute to help the judges decide when and how to exercise their jurisdiction over children whose parents had strong ties to other countries. Sir James Munby set out some useful principles in these two cases: Re F (A Child)  EWCA Civ 789 and Re E (Brussels II Revised: Vienna Convention: Reporting Restrictions)  EWHC 6 (Fam),  FLR. He noted that Regulation Brussels II revised (BIIR) applied to determine the jurisdiction of the English court in care proceedings, whether or not the other country is a Member State of the European Union: see A v A and another (Children: Habitual Residence) (Reunite International Child Abduction Centre and others intervening)  UKSC 60,  AC 1, para 30, and In re L (A Child: Habitual Residence) (Reunite International Child Abduction Centre intervening)  UKSC 75,  3 WLR 1597, para 18. The basic principle set out in Article 8(1) of BIIR is that the court’s power to make care or supervision orders depends on ‘habitual residence’ NOT just physical presence. ‘Habitual residence’ is meant to be a simple matter of fact and you ask yourself to what extent the child is integrated into his or her local environment – do they go to school for e.g. ? The court must deal with this matter at the outset and should set out clearly the basis for saying it has power to make orders. If it is necessary to make decisions before there is time for proper investigation and determination, the following suggested recital should be used in the court order: “Upon it provisionally appearing that the child is habitually resident…”. If the LA want a care order the court can decide to make a supervision order or no order at all. This is due to the principle of ‘least intervention’; the court must be careful that the decisions it makes are proportionate to the harm in question. Proportionality is a key concept in Family Law – see Article 8 of the ECHR. If the child could be kept safe by a less serious order, such as a supervision order or child arrangements order, then that is the order that should be made. See further our post about Article 8 and proportionality. A care order gives the LA parental responsibility for a child; a supervision order does not. See discussion below. If a care order is made, if the child is subject to any other orders – such as any order under section 8 of the Children Act 1989, a supervision order, education supervision order or school attendance order – those orders will be discharged. Also if the child was a ward of court, the care order will bring wardship to an end. If the child is subject to a care order and the court makes a special guardianship order or a child arrangements order under section 8 of the Children Act 1989, dealing with the living arrangements of a child, that will bring the care order to an end. If the court makes a placement order, the care order is suspended not discharged and will revive if the placement order is revoked. Under section 31A of the Children Act 1989 the court cannot make a care order unless the LA have provided a care plan for the child. Section 15 of the Children and Families Act 2014 has amended the law with regard to care plans to say that the court need only examine that part of the plan which relates to permanency for the child – i.e. what the LA thinks should happen to the child in the future and where he or she should live. What if the court thinks there should be a care order and the LA doesn’t? This situation arose in W (A Child) v Neath Port Talbot County Borough Council  EWCA Civ 1227 where both the mother AND the LA did not agree with the court’s assessment that a care order was required. The Court of Appeal confirmed that the court does have power to make an order even if the LA didn’t want it. Deciding what order is needed is a value judgment about the degree of intervention required by the state to meet the risk. The starting point is the court’s findings of fact and then moving on to make a decision about a child’s welfare. That latter ‘value judgment’ is for the court to make NOT the LA. The LA may not refuse to accept a court’s evaluation of risk. If the LA refuses to amend its care plan, the Court of Appeal suggests that this could be challenged by way of judicial review. Parliament has given the power to decide what, if any, order to make to a judge and there would be no purpose in this if a local authority could simply ignore what the judge has decided. However I am not aware of any published case where a LA has been subject to JR for failing to accept a court’s welfare evaluation – is what happens in practice is that the LA will ‘blink first’ ? In a nutshell this means that people with PR have a right to know and make decisions about serious issues in the child’s life, such as where they live or go to school or what medical treatment they need. Mothers automatically have PR for their children; fathers will have it automatically if they are married to the mother or – from 2003 – if their name appears on the birth certificate. If the parents were not married, the father is not on the birth certificate and the parents cannot agree about PR, the father will need to apply to the court for an order awarding him PR. The key distinction between care and supervision orders is found under section 33(3) of the Children Act. Only a care order can gives the LA parental responsibility and the power to decide how any one else can exercise their parental responsibility. It is often said that a care order allows the LA to ‘share’ parental responsibility but the more realistic description is that the LA is now in the driving seat when it comes to making decisions about the child. The LA can control parents’ exercise of their parental responsibility when ‘necessary’. However, under section 33(4) the LA can only use their powers to control other people’s parental responsibility if to do so is necessary to safeguard or promote the child’s welfare. Together with the considerations of Article 8 of the ECHR and the need to act proportionally, the LA will need to think seriously about whether or not what it proposes is ‘necessary’. For example, see our post on what happened when the LA wanted to remove a child who was placed at home under a care order. The court decided that this had not been ‘necessary’ and that the first judge had the power to stop them by way of an injunction under the Human Rights Act 1998. Further, under section 33(6) the LA is NOT entitled to change the child’s religious persuasion and NO ONE is allowed to call the child by a different surname or take him out of the country for more than a month unless everyone with parental responsibility agrees or the court orders. It is important to note that, even though under a care order the LA is in the ‘driving seat’, they cannot ignore the other passengers – the LA MUST consult with and inform other PR holders about important decisions they make for the child and they have rightly been subject to serious criticism when they have failed to do this. See this case from 2013 where Kingston on Hull City Council were subject to a successful judicial review of their failure to consult parents. I have made it clear that there is a duty upon a local authority to consult with all affected parties before a decision is reached upon important aspects of the life of a child whilst an ICO is in force. I have been shown the guidance issued by HM Government to local authorities in 2010 [The Children Act 1989 Guidance and Regulations] where there is valuable material available to social workers about how to approach their difficult task in this regard. Whilst it is not spelled-out quite as starkly as perhaps it should, there is contained therein a plain message that a local authority must consult and, in my judgment, that is even more crucial during the interim phase of proceedings when final decisions as to the threshold criteria and outcome have not been made by a court. The issue about how the LA needs to consult will depend on the facts of each case, but should usually include the parents and the guardian, if one is appointed and any other family member who has a close link to the children, such as a grandparent who may be caring for the child or otherwise closely concerned. The “others” who need to be consulted may have a valuable contribution that might alter the proposal of the local authority. It does not mean the parents and other parties must concur with the proposal before it can be implemented. There can be no veto or casting vote. Equally, the parents and other parties are not mere vassals to whom information is given and nothing more. If, after consultation, you do not agree with the LA’s proposed plan of action, you may need to consider applying for an injunction to prevent them from acting under the Human Rights Act. We discuss this remedy here. There is a helpful article from Family Law which discusses applications for contact with a child in care. See also the Care Planning, Placement and Case Review Regulations 2010. Section 34 states that the LA ‘shall’ allow the child ‘reasonable contact’ with his parents or guardian, a step-parent who has parental responsibility or anyone who had a residence order immediately before the care order was made. Any other person who wants contact will have to apply to the court for leave to make an application and the court may make ‘such an order as it considers appropriate’. It used to be thought that when babies were taken into care, that parents ought to have as much contact as possible, and 5 times a week would represent a minimum. However, more recently, the courts have become aware of research which showed that frequent contact for babies in care was often harmful to them as it could mean that they were subject to a lot of travelling with unfamiliar people and it had a negative impact on their ability to settle in foster placements. So it is likely that contact with a baby will be set at between 2-3 times a week and probably less for older children as they are likely to have a number of commitments such as school attendance which may impact upon frequent contact. If you want to know more about the issue of contact with babies in care, here is a transcript of a debate on 8th December 2010, organised by the Family Justice Council ,which includes contributions from the President of the Family Division. There is a useful article here from Jenny Kenrick, a child psychotherapist, which looks further at the practical issues around contact with babies in care proceedings. The LA cannot refuse contact unless for an urgent reason and then only for 7 days. If the LA wants to stop contact and you don’t agree, it will have to ask the court to order this under section 34(4). (e )remedies available in case of dissatisfaction. You will find supervision orders at section 35 of the Children Act 1989. A supervision order does NOT give the LA parental responsibility for your child but allows them to appoint a ‘supervisor’ who will ‘advise, assist and befriend the supervised child’ and take whatever steps are necessary to make the supervision order work. Supervision orders are normally made for six months or 12 months at time. They can be a good way of dealing with concerns which are worrying but not so serious that a care order is required. It is a way of keeping an eye on a situation and monitoring how well things are going. The court can make a supervision order even if the LA is asking for a care order, if the court thinks a supervision order is the best order to make. This entry was posted in care and supervision orders and tagged care order, care plans, contact with child in care, General Legal Principles, parental responsibility, proportionality, supervision order on January 28, 2014 by Sarah Phillimore.